Swimwear, Swimsuit, Goggles, Fins, Caps & Sandals | Swim N Things . VISIT OUR PHYSICAL STORE TOO! Whether you are an elite swimmer, triathlete or just trying to get back into shape you are sure to find what you are looking for, regardless of your swim ability. 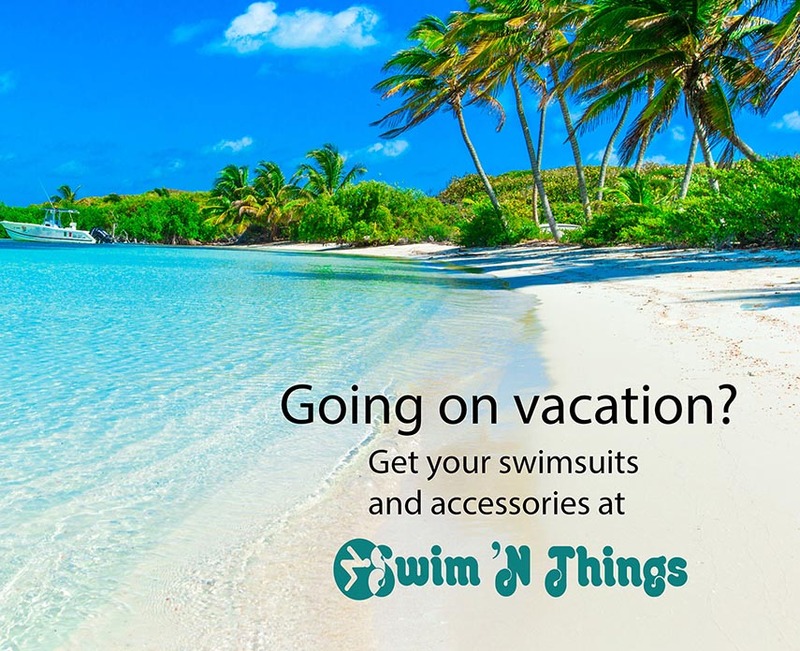 Swim ‘N Things is one of the largest retail swimwear store’s in Colorado. We are proud to carry swimsuits and many varieties of swim accessories. We carry a diverse amount of brands such as Gottex, Penbrooke, Miraclesuit, Billabong, Quicksilver, Roxy, Reef, just to name a few. Swim ‘N Things huge selection of one of a kind swimsuits will help you find just the right swimsuit for your next vacation, no matter what time of the year you choose to travel. Swim ‘N Things year-round selection insures that you can always find a unique suit which will fit you perfectly.